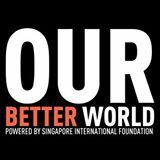 Our Better World, an initiative of the Singapore International Foundation, is a non-profit organisation that focuses on telling stories of everyday people doing good. 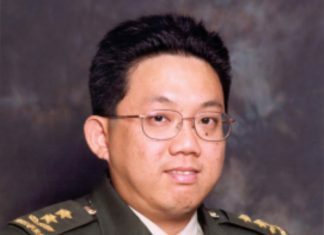 Their stories are mainly about Asia, with a large portion of it based in Singapore. The following is a heart-warming tale of Mel who, after going through the school of hard knocks (literally and figuratively), found her path in life and took on the huge challenge to keep impressionable youngsters away from the dark alluring world of gangsterism while giving them a purpose through dance. Mel, in her own words, is a “been there, done that already” ex-gangster who loved drugs before anything and anyone else. Her journey has been tough, losing custody of 7 children and now working single-handedly to bring them back. And she doesn’t stop there, she is reaching out to “upcoming gangsters” through dance, hoping to lead them away from the route she had taken. “You go practise, I will come down and check,” Mel says. And such is the commanding presence and clout she has with dance group Pluspoint, the boys immediately buckle down and get to practising. Having spent some time with Mel’s family and the dancers, it is not difficult to understand and appreciate the respect they have for her. She consistently gives so much of herself, and expects little in return. Though she often works seven days a week as a customer service officer to make ends meet, and returns home dog-tired, her door is always open to the boys whom she has affectionately adopted as her own since starting the dance group in June 2012. She may appear very stern and unafraid to raise her voice to chide the boys, but deep inside, she has a soft spot for them that’s evident through many small gestures. Some evenings, she whips up a simple pot of noodles for them to dig into after dance practice at 10pm. The boys – always famished, it seems – often empty the pot in no time. At other times, she sits down with them individually to offer a listening ear, dispensing advice as appropriate. It seems easy for her to connect with these youths because of her own chequered past. “An ex-gangster can always talk to a gangster,” she explains. She attributes this largely to her newfound responsibility as mother, sister, role model, and informal mentor to the younger ones around her. It has not been an easy journey, fighting her drug addiction, leaving an abusive relationship, having to fend single-handedly for her children, and now caring for the dancers under her charge. But Mel never gives up and keeps on giving. For this, she has earned my utmost respect. Massive thanks for helping Pluspoint reach their Indiegogo campaign target!. Want to have Pluspoint perform at your wedding, party or corporate event? Find out how from their facebook page.